Russell Wozniak has become a leader of Oahu’s efforts to develop innovative solutions to the low-income housing shortage. A self-proclaimed “serial rambler,” Russell Wozniak will answer questions you never asked about affordable housing. On any given weekday, he and James Lasko, a 25-year-old homeless man Wozniak has taken under his wing, are meeting elected officials or homeless service providers to discuss how Wozniak can design more housing projects or make sure the ones he’s already built succeed. His daily routine was much different in 2002. Then an engineer in his late-20s, Wozniak buckled his seat belt in a company car and drove the the same road every day through Wailuku, Maui, to oversee construction of a residential subdivision. He would drive past homeless encampments that people called “blue tarp city.” The sights wore on him. With a trifecta of degrees in engineering, project management and architecture, Wozniak has the credentials to design skyscrapers. Instead he’s focused on low-cost housing solutions. Sixteen years later, Wozniak has shifted his focus to developing housing for the homeless and all the financial and political navigation that this entails. Over the last three years, the city’s Department of Land Management contracted Wozniak through the architecture firm G70 to design and construct six projects geared toward housing people well below the poverty line. Hale Mauliola on Sand Island Road was one of Russell Wozniak’s first projects for the homeless. His first undertaking was Hale Mauliola, a transitional homeless shelter on Sand Island made of shipping containers converted to one- and two-bedroom units. He moved on to designing slightly larger units intended for permanent residency. Last April he wrapped up a city project designing micro-units for chronically homeless people in a building in Chinatown. Sixteen units along Farrington Highway are expected to house up to 80 people. The project allowed Wozniak to refine his take on what many believe to be a key piece of the puzzle in addressing the state’s affordable housing shortage: prefabricated homes much like trailer park units that can be manufactured in bulk at a low cost, shipped to Hawaii and quickly assembled. “You’ll hear over and over that building costs here are high and any way to bring those down is a helpful part of the solution. 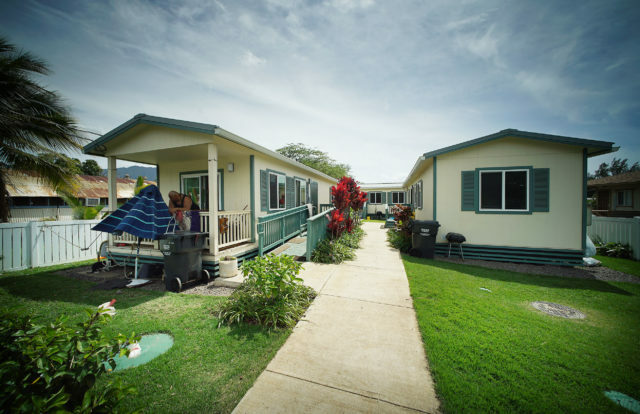 Modular housing, prefab housing is a great way to approach that,” said Gavin Thornton, the co-executive director of the Hawaii Appleseed Center for Law and Economic Justice and longtime advocate for affordable housing. Wozniak recently decided to go part time at G70 so he can dedicate more time to affordable housing projects, many of which he does pro bono. G70 is already involved in a few charity projects. Pastor Daniel Kaneshiro of the First Assembly of God church talks to Wozniak daily to get advice on the construction of a homeless shelter underway on the church’s property in Kahaluu made from 12 domes that look like igloos. Limited space on Oahu has inspired Wozniak and Kong to get creative about where they plan to locate housing projects. The Federal Highway Administration generally opposes housing people under viaducts, although on Oahu land under freeways already hosts a post office and a church. “If it’s not that, it’s homeless people,” Wozniak said. With Wozniak by his side, Kong told an audience at the Pearl City Neighborhood Board meeting last April that he wants to eventually see 45 to 50 such housing projects around the state. Kong’s plans may sound ambitious, but he’s got allies in the Legislature. Among a slew of measures that attempt to tackle homelessness this session is House Bill 2014, which would require the state Department of Human Services to create 8,000 dwelling units for homeless people at a cost of $100,000 or less per unit. Rep. Tom Brower, who introduced the measure, said he envisions the units being made of shipping containers or the igloo-like domes purchased by the First Assembly of God. “What we’re threatening to get into is a whole ‘nother level,” Wozniak said. Like many Americans, Wozniak went back to school in 2008 during the Great Recession. Among the students of Stanford University’s Advanced Project Management program sat Wozniak, a budding real estate developer in his early 30s with an engineering degree and a few years’ experience under his belt. 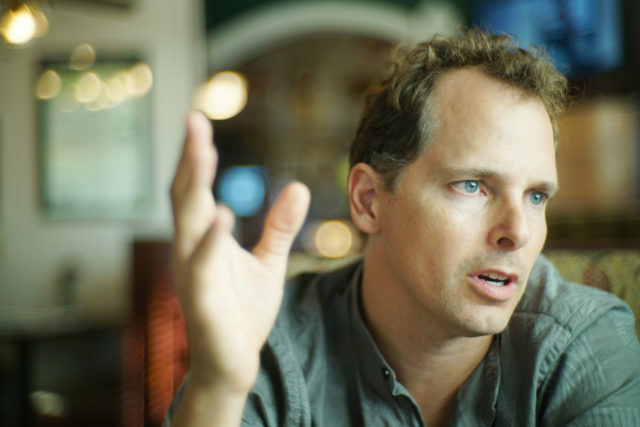 At Stanford he developed an aversion to being in a roomful of people with leather briefcases. For a few years after completing the Stanford program and before entering the University of Hawaii’s doctorate program in architecture, Wozniak traveled to Brazil, where he worked on building homes. His experience in South America came to inform his understanding of what income inequality could lead to in Hawaii. Favela means “shantytown” in Portuguese. The lines of tents Wozniak drove past in Wailuku in 2002 are an even more common site 16 years later in Waimanalo, Kakaako, Iwilei, Waianae. The list goes on. Hawaii’s high land costs and notoriously difficult permitting process often make government involvement necessary to develop affordable housing. Even with the low-cost modular structures, the 16-unit Farrington project cost the city about $5 million, including $300,000 for the land across the street from the Waianae Small Boat Harbor and about $153,000 for each unit. “Most of these kinds of projects could not pencil out if the manager had to also pay for the units, land, the debt service,” said Pfund of the Department of Land Management. 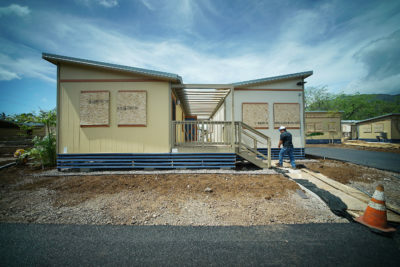 A three-unit project on Halona Road in Waianae is the first mobile home community Wozniak built with the city. It’s the prototype for the Farrington project. Public money can’t fund the First Assembly of God’s dome project, called The Shelter, because those living in the domes must “agree to progress in The Shelter’s vision of Christian growth,” according to the church’s website. The church relied on donations from its congregation and other churches to raise more than $500,000. 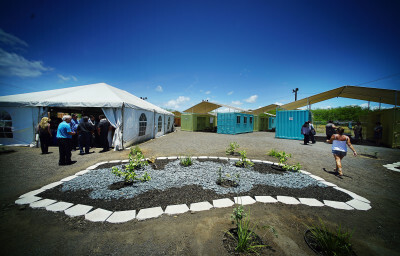 Kahauiki Village, a much larger modular housing project still under construction along Nimitz Highway, was made possible by a group of well connected local businessmen, with Duane Kurisu at the helm. Once complete, the compound is expected to include 153 units made of prefab homes originally used to shelter victims left homeless in the Tohoku, Japan, tsunami seven years ago. The project is touted as an answer to Hawaii’s homeless crisis, but Wozniak said a sustained effort is needed. “In society I don’t think we can rely on, OK, when’s the next wealthy guy going to show up to save the day? Where does the onus lie to help anybody?” Wozniak said. High ceilings and expansive porches offer a respite to the small interior of the mobile homes at the Farrington project – 304 square feet for a one-bedroom and 470 square feet for a two-bedroom – and access to the breeze along the Leeward Coast. The Department of Land Management tried shipping containers on Sand Island and converting vacant rooms in downtown Honolulu buildings into micro-unit apartments, but Pfund said the “homestyle” mobile units in Waianae better suite the lifestyle of the west side. The interior is small, but spacious lanais will offer outdoor living space in the Farrington project. Had they built up, the cost would have also gone up and the sense of community would have decreased, Wozniak said. 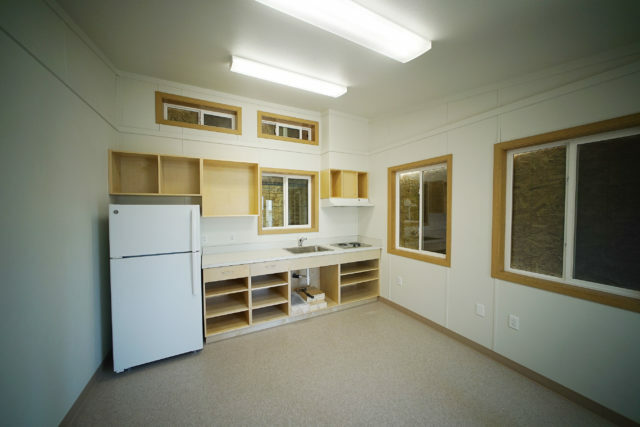 Hawaii Modular Homes, a company that builds mobile offices and classrooms, manufactured the homes at the Farrington project, which look a lot like portable classrooms on school campuses. Tenants will pay $1,117 per month for a two-bedroom and $981 for a one-bedroom. They can live in the units indefinitely but the idea is they’ll move on to something else. 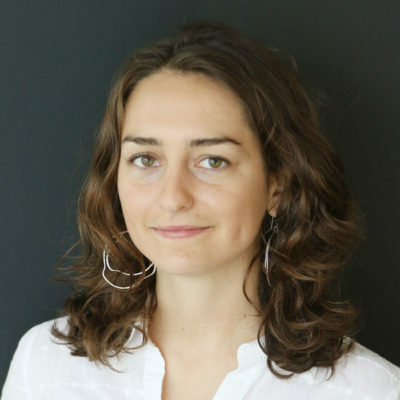 “We’re making it a bit uncomfortable … because we want to encourage them to have a shelter, definitely, but work toward stabilizing and then moving on so that we can have new people come in,” Pfund said. It was 10:30 a.m. on a Friday and the line at the at the Fort Street Mall Satellite City Hall in downtown Honolulu wouldn’t budge. The sleeves to Wozniak’s button-up shirt were rolled. Lasko wore a beanie and his earlobes drooped where there once were gauges. They were here to once and for all get Lasko some proper state identification, something that, like many homeless people in Hawaii, he hasn’t had in years. Lasko says his mother passed away when he was 14 and that he’s never met his father. He figured he’d wind up homeless someday. Wozniak met Lasko when he hired a group of day laborers to do demolition work on his house on Tantalus Drive overlooking Honolulu. After each day’s work Wozniak would drive Lasko down to Chinatown to find a place to sleep. James Lasko, right, started living with Russell Wozniak about seven months ago. In the last seven months, Lasko has become a fixture in the architect’s life. Lasko has a Celtic knot tattooed to his rib and Wozniak’s 7-year-old stepson drew the same tattoo on his own rib. It took the duo another week and five more hours waiting in a different satellite city hall to finally get a temporary ID. The real one will come in the mail in four to six weeks. While he was in line, Wozniak got a text from Thornton at Appleseed asking if he could stop by to help design the nonprofit center’s new office. Wozniak looked up from his phone, his blue eyes energized. “Did I mention my free architecture?” he said.